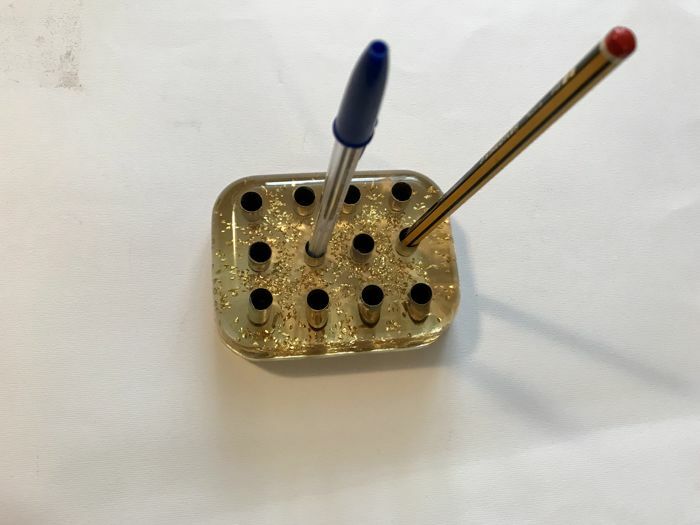 Giorgio Gost, very elegant table sculpture made of resin, size 11 x 8.5 cm, height 3.5 cm. 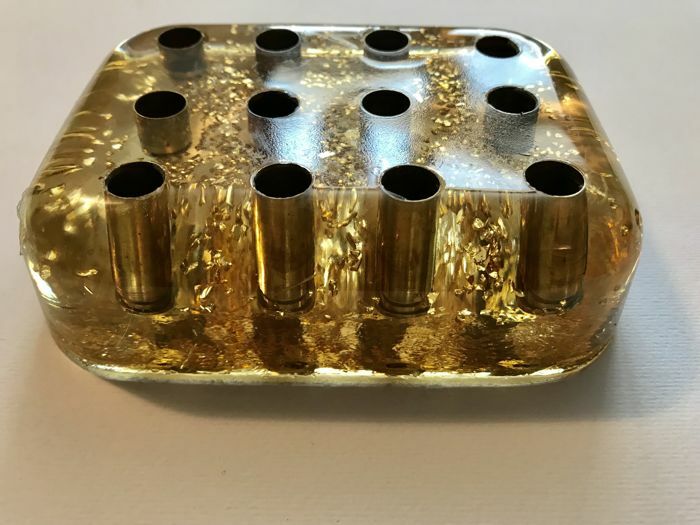 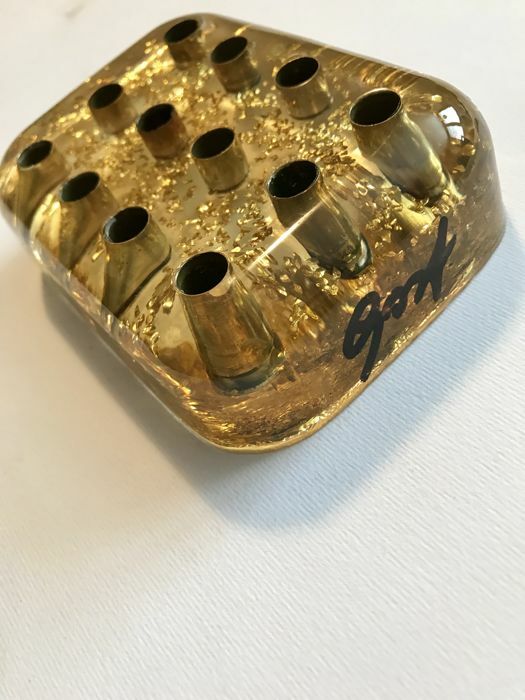 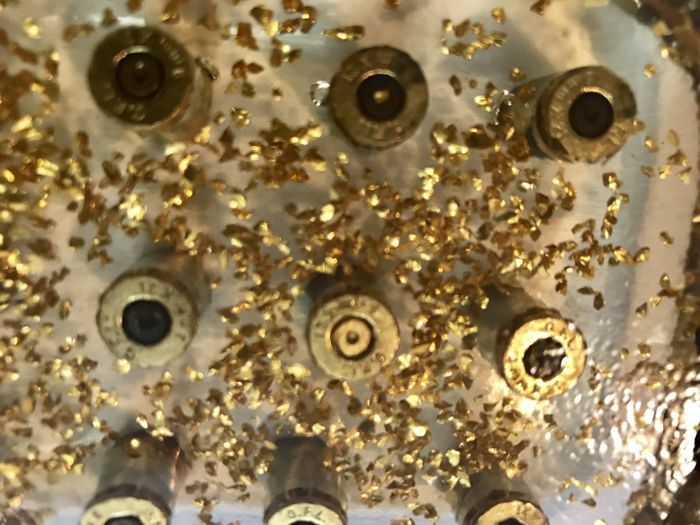 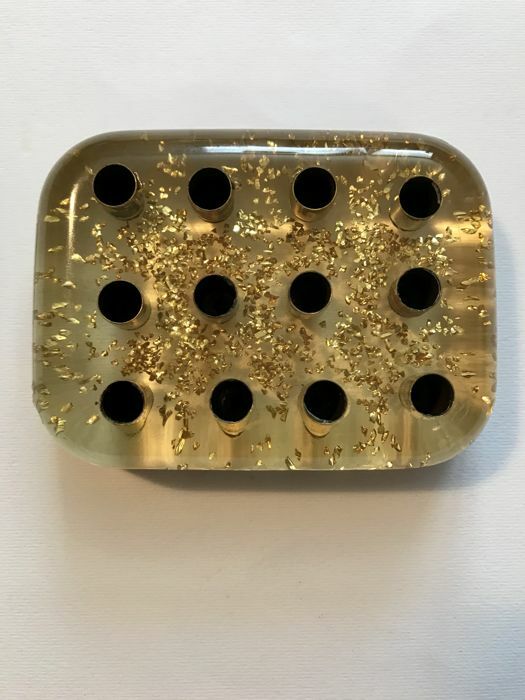 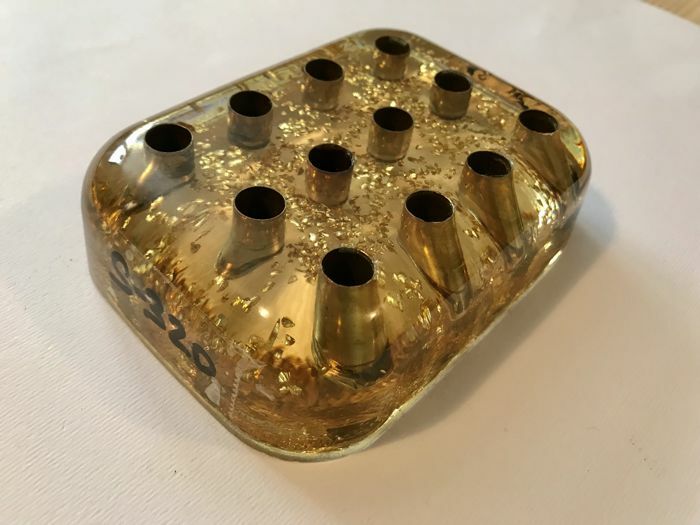 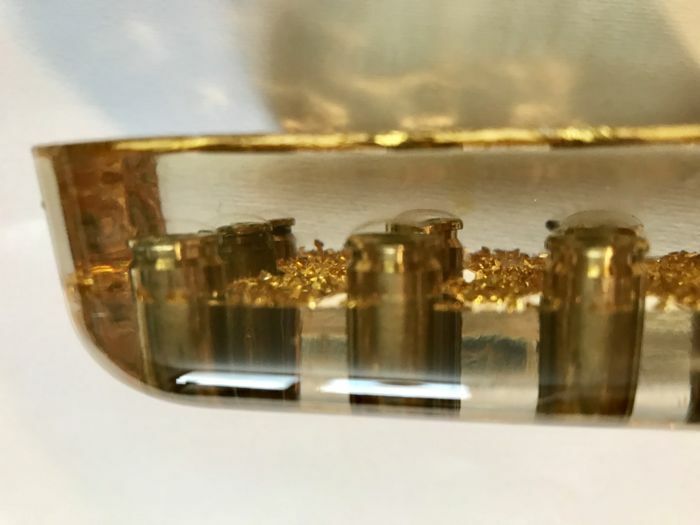 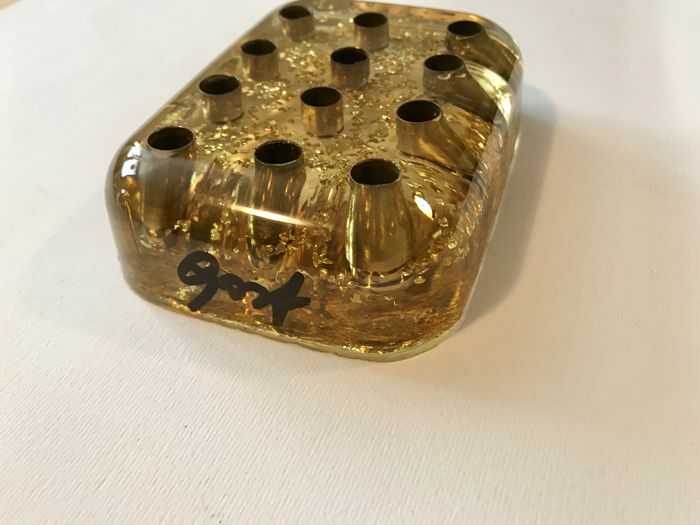 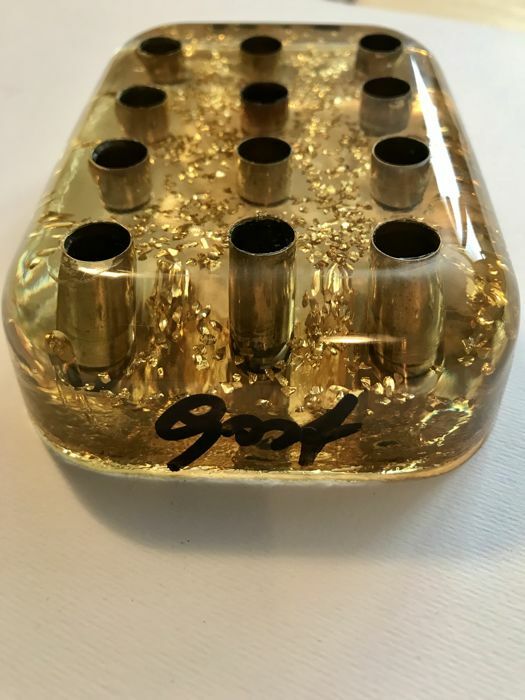 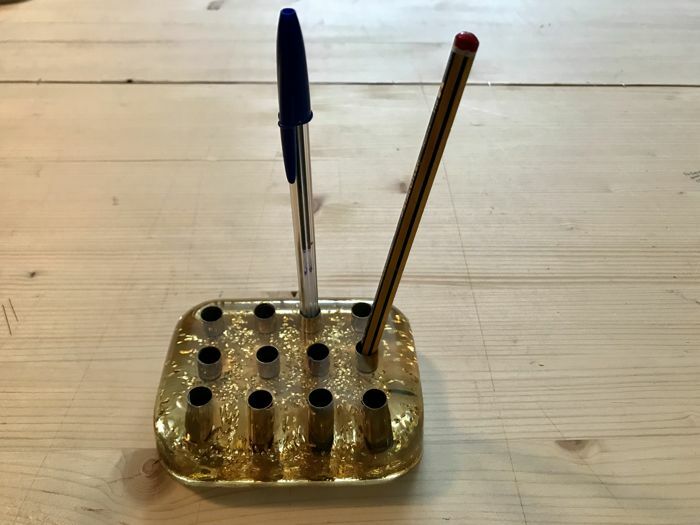 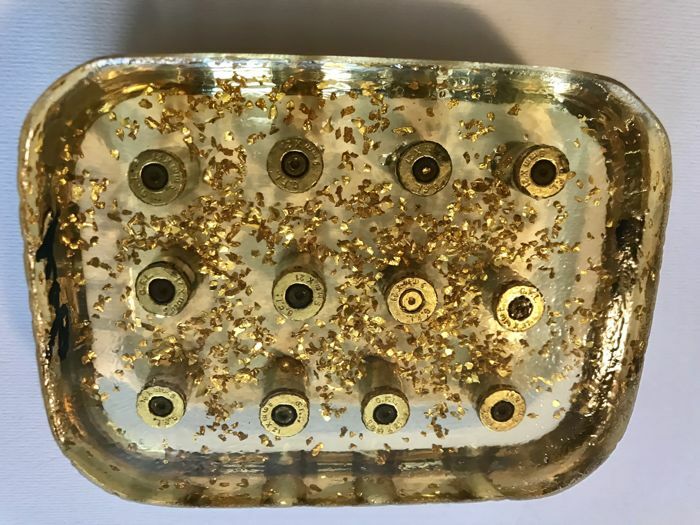 Golden gun cartridge cases and metal chips under resin, artwork suitable as a stylish pen holder. 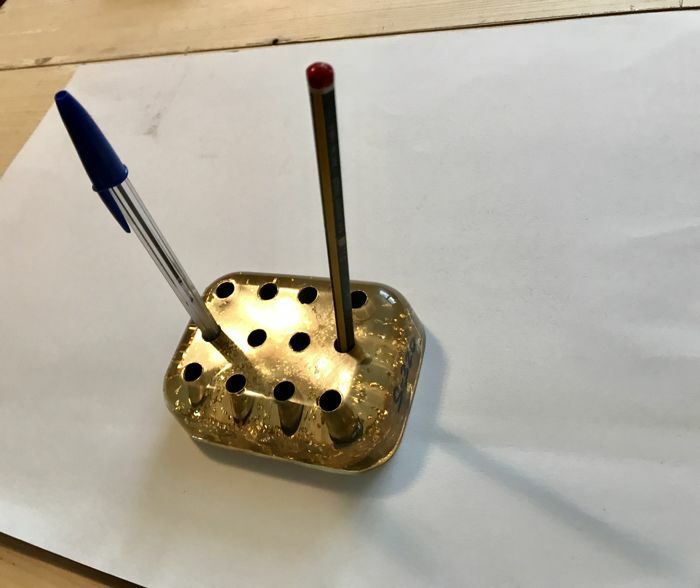 Signed by the artist, with archive number. 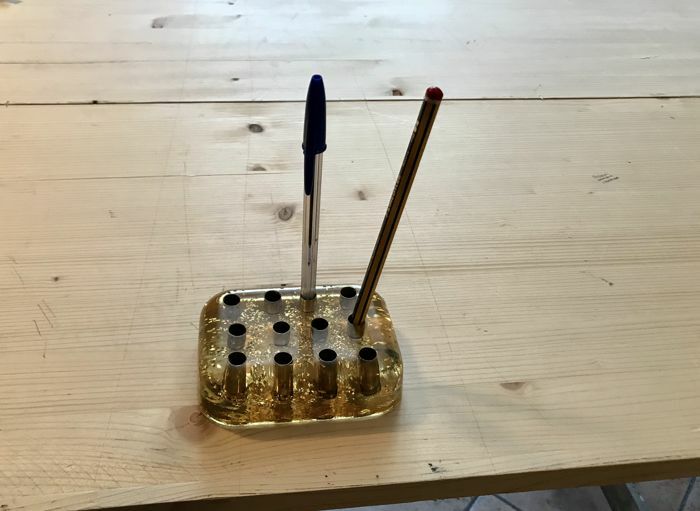 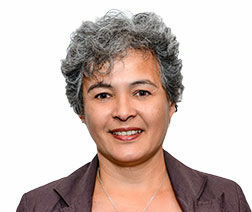 Du kan hämta det här objektet hos säljaren: Appiano Gentile (Como), Italien.